Blue Chip Cookie Jar-5 ounces of delicious cookie baked in the jar. 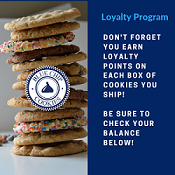 Send Mom the Blue Chip Cookie Jar. 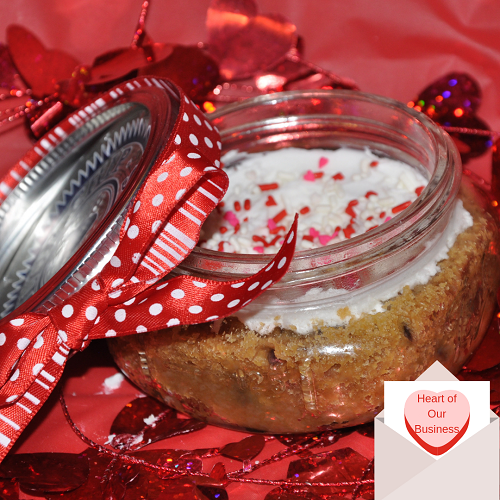 Our Blue Chip Cookie "Life is Sweet" Jar is a perfect size to tell people you appreicate them...Birthday, Anniversary, Valentine's Day, Holidays, Great job, and for marketing. We perfected taking our proprietary cookie dough and baking it right in a Mason Jar, then adding some special buttercream icing after it cools. How do you eat it? With a spoon! We supply a small spoon for each jar and a small card. People can eat half and then just screw the top back on to keep it fresh.